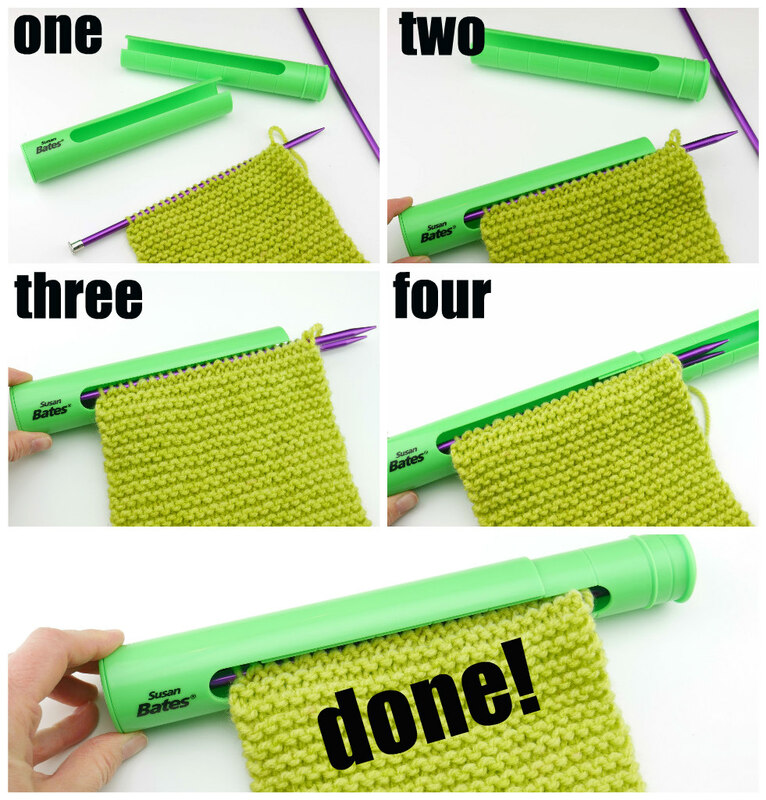 Fiber Flux: Introducing the Susan Bates Extendable Knitting Stitch Holder! 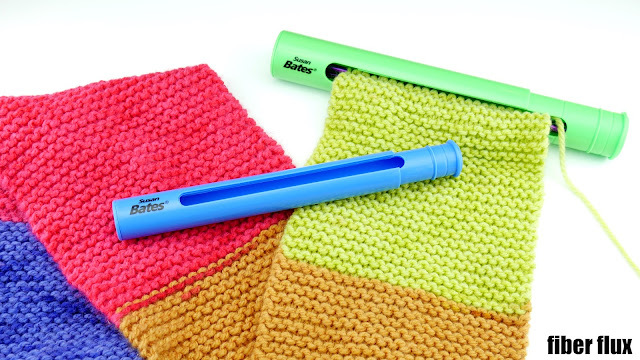 Introducing the Susan Bates Extendable Knitting Stitch Holder! I absolutely adore stitch gadgets and when I received the new extendable stitch holders from Susan Bates in the mail, I was beyond excited! These are for the knitters to keep your work secure and all stitches safely on the needles when you need to set your project down for a bit. They are absolutely perfect for travel too. Simply slip your work into the tube, click to lock in place and everything is nice and safe! When you're ready to come back to work, pop open the tube and slip it back out...easy peasy! Step 1: Pull the two tubes apart. Step 2: Slide your work into one of the tubes. Step 3: Add the other needle if you like. All done! Your knitting project is safe and sound! Get the Susan Bates extendable stitch holder (both medium and large as shown in the video) below! Special thanks to the folks at Coates/Red Heart Yarn for sharing the stitch holder! I received two sizes of stitch holders to review and share, all opinions are my own.